A good photographer can give even the most humble motorcycle a touch of glamour. 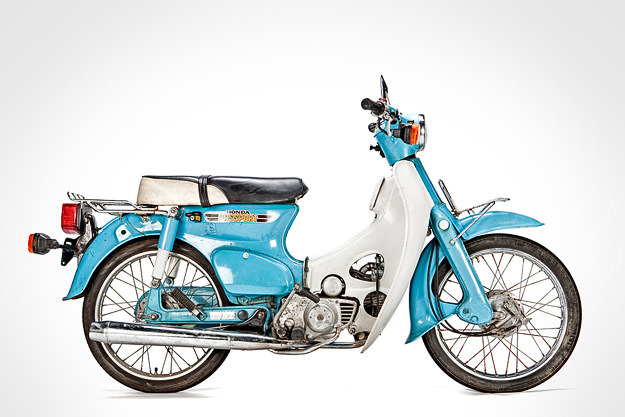 And Joshua Hoffman’s use of ringflash has made us look at the Honda C70 in a new light. The C70 was a grown-up version of the Honda Super Cub, with a little more power and a dizzying top speed of 50 mph (80 km/h). The original C70 appeared in 1970, and ten years later, we were treated to the subtly upgraded Passport—available in Angel Blue and Parakeet Yellow. See more Hoffman images on Flickr.